Value without compromise. Vinyl siding provides the look of wood without the costly maintenance. With vinyl, you won't need to spend your time scraping, staining or painting. The right siding can make all the difference. When installed properly, siding can protect your home from the weather, lower your energy bills and improve your home's curb appeal. Depending on what's most important to you, whether it's style, color, durability, upkeep or all of the above, Double R A Construction Corp can help you select the best siding option for your home. With professional installation, we can deliver exceptional appearance and performance. 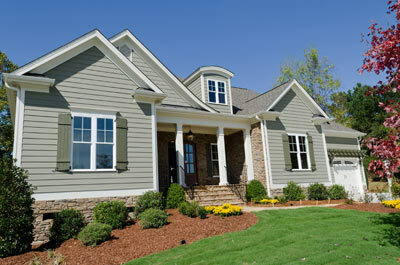 We install a variety of siding styles from the nation's leading manufacturers. To request a free siding estimate, call us at 1-844-385-9654 or click the button below. We are your trusted siding contractor in Yonkers, Stamford, New Rochelle, White Plains, Mount Vernon, and nearby. A great new look for this classic home in Bronxvile, NY. The homeowner wanted a classic look with virtual maintenance free siding. He called Double R for an estimate for siding that would meet his two demands. He got both with CertainTeed's Cedar Impressions 7" Perfections in Charcoal. We installed the siding professionally and the home owner couldn't be happier. A total makeover for this beautiful home in Ardsley, New York. The homeowner Clark wanted a more modern look for his home with all the benefits of being maintenance free. We went over several design and material options and our homeowner choose CertainTeed Cedar Impressions 9" Staggard siding in Natural Clay. I want to thank you for the great siding job that was done to my home, as you know I was totally on the threshold of a nervous breakdown because of the terrible workmanship that was done by the previous contractor who I had to dismiss for totally destroying the appearance of my house. Your quality workmanship and attention to detail - experienced after the removal of the siding installed by the previous contractor, who I call “Butcher", is a credit to your knowledge of construction and renovation. Your understanding of human nature and the compassion you have extended to me and my family in easing the pain of the additional expense is greatly appreciated. I don't know how I would have resolved the mess I found myself in without your help. I want to thank you for the great siding job that was done to my home, as you know I was totally on the threshold of a nervous breakdown because of the terrible workmanship that was done by the precious contractor who I had to dismiss for totally destroying the appearance of my house. Your quality workmanship and attention to detail exercised after the removal of the siding installed by the previous contractor who I call, “The Butcher”, is a credit to your knowledge of construction and renovation. Your understanding of human nature and the compassion you have extended to me and my family in easing the pain of the additional expense is greatly appreciated. I don’t know how I would have resolved the mess I found myself without your help. I selected Double R to side our house after meeting with a number of other outfits. From the start Tony seemed thorough and competent when he was explaining to me particular trouble spots around our house! In addition, he followed through with whatever he said he was going to do, for example, when he said he would call me about references in a couple of days. He also referred us to good people we needed in conjunction with the siding job, such as an electrician. The crew who did the job were terrific. They were always polite when they needed something and readily discussed any questions with us. They handled any problems that arose immediately. My husband put it most accurately when he came into the house after spending a significant amount of time with the crew. He said, “they know every possible thing about siding there is to know!” I knew that already. Finally, the guys did a great job cleaning everything up at the end. It looks as if they has never been here. The fact is, these guys did a fabulous job. The gutters and leaders are clean and bright and perfectly aligned. The casings around the windows and the borders around the roof are neat and tight. The siding is straight with barely any possible cracks. They did everything they were supposed to do. Our house looks beautiful! We would recommend Double R to anyone who wants a really excellent job done on their home. We are happy to report that the completed job is first rate. We could not be more pleased with the appearance of the place. In fact neighbors have said that the house is so neat and tidy but it looks exactly like it did before all of the addition. This is just the result we were hoping for, but were not sure we would get. Our thanks to the crew. They were most courteous and listened to our ideas. We have already given your name to three interested people with more to come I am sure. Again, our thanks. I wish to write this letter in appreciation of the work that was done on my home. Your firm was one of the three that bid on this project. I found you’re professional in several regards. Your firm best characterized the explanations of the various options versus cost differentials. Your bid was in the same range as the other firms. My choice of your firm for this project was based on the knowledge and expertise you showed. My choice was correct. You completed the job on time and you performed the work in a highly professional manner. Your work was the best I have observed in my experience of working with many construction projects over the years. The vinyl siding looks amazing. We are continuously complemented and inquired about the way the home looks, and we have given your name to several people. It has been over a year since the completion of the job. We appreciate that we have had no problems with the work As you may recall, that aspect of the project was the most important factor to me. I congratulate you for your work and will highly recommend you to anyone. As an additional bonus for me, my home required minimal external maintenance work Thank you again. Perhaps ten years is a long time to create a repeat customer, but we’re pleased we called you back. The roof you put on our house ten years ago is still a first-class job. The new siding that you just completed looks very good and we hope it will maintain it’s good appearance for many years. We feel confident that if something should need attention, you’ll be there to take care of it. Thanks for the smooth siding job from product demonstration to finishing touches. Thank you so much for the wonderful work you did on my house. Before you started the siding the house blended in with all the other houses on the block, by the time you had finished with my house it looks like it was just built. What can I say, you did a wonderful job for me. Thank you so much. I thought a note would be appropriate to let you know how happy Marge and I were with the siding job you did on our home. Your crew did a marvelous job in giving us the quality siding we were looking for. Again, let us say how delighted we were with the beautiful job done. Everyone who comes into our home these days always has a favorable comment. We just wanted to comment on how pleased we are with the continued service your company provides. We would like to congratulate you on your willingness to stand behind your work. We would recommend your company, in a minute, to anyone looking for vinyl siding. Just a few words of thanks to Double R and its men for the great job they did on our house. Many people have said the house looks beautiful, and they ask who did the job. We can proudly say Double R - We would recommend Double R to anyone. Thank you very much. In late January you completed the roofing, vinyl covering of the roof dormer plus gutters and leaders at my mother’s house. I personally inspected the work during the installation and upon final completion. I found all phases of the work completed in a very professional manner. You also met all conditions of our initial agreement in a timely manner. Both my mother, who is 92, and my sister were especially impressed by your employees and the way they always maintained the work area in a safe and tidy condition. Thank you and all your fine workers for a job well done! We couldn’t be more pleased with the beautiful new door of our house. Now, if you only did landscaping…. I wanted to take a moment to drop you a note thanking you and your team for the outstanding work you did on my home. The roof and siding look great! The craftsmen you put on this job were both professional and courteous. The attention to detail and desire to "do it right" that you and your team employ have resulted in a home that Kathy and I are very proud to own. Thank you so much for the wonderful work you did on my house. Before you started the siding the house blended in with all the other houses on the block. By the time you had finished with my house it looks like it was just built. What can I say - you guys did a wonderful job for me. Thank you so much! We are writing this note on behalf of Double R Construction. This past fall Double R worked on re-siding our home and installing all new windows as well. We could not have been more pleased with the professionalism that Double R's crew demonstrated while working on this job. Each morning they showed up bright and early and worked nonstop throughout the day. They were easy to approach when we had questions about the work and communicated to us on a daily basis where they would be starting the following day. This past fall the crew had to deal with many inclement weather conditions. They would at times work through the rain and even the snow so that they could keep to their time schedule. This professional courtesy was something we truly appreciated. We would highly recommend Double R to other clients because we were so impressed with their work. The craftsmanship has transformed our circa 1900 home into looking as if it were brand new. We have received many compliments from our neighbors on our recent home improvements and we would not hesitate to recommend Double R to do more work. Your home's siding is constantly exposed to Mother Nature. That's why it's important to choose a siding product that's able to withstand the elements and look great for years. We offer siding products for every home and budget. Below are the siding materials we typically install. Vinyl siding: The most commonly used siding, vinyl siding is durable, never needs painting, and won't be damaged by rot. Fiber cement siding: Fiber cement siding has a natural wood texture and is resistant to rotting, warping, cracking and pests. Many manufacturers offer a 25 or 50-year warranty on fiber cement siding products. Aluminum siding: Aluminum siding was introduced as a cost-effective alternative to wood siding. Aluminum requires little maintenance and is available in a wide variety of styles and colors. The downsides of aluminum siding are that it dents easily and can fade over time. Wood siding: Real wood siding has a timeless look that many manufacturers try to mimic using other materials. While wood siding is environmentally friendly and easy to replace, it requires much more maintenance than other siding materials such as vinyl. If you are planning on selling your home or your siding is worn or damaged, we can help with all your siding replacement needs. There are several siding options and all have their advantages and vary in price. The siding contractors at Double R A Construction Corp will work with you to figure out the best solution for your home. Contact us today to request your free estimate for your siding project in Greenwich, Mount Vernon, Norwalk, White Plains, Scarsdale, Ossining, Yorktown Heights, or nearby.